Driving to the headquarters of Far North Spirits, in Hallock, Minnesota (pop. 981), takes gumption and a functioning GPS system. 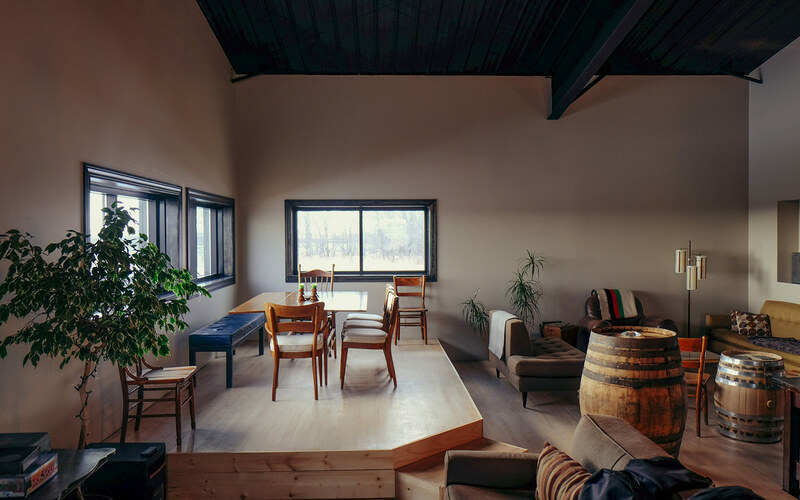 The northernmost distillery in the lower 48 sits in the tip-top corner of the state, six hours northwest of the Twin Cities and an absent-minded turn from the Canadian border. Field & Stream publisher Charles Hallock was this ag town’s namesake. 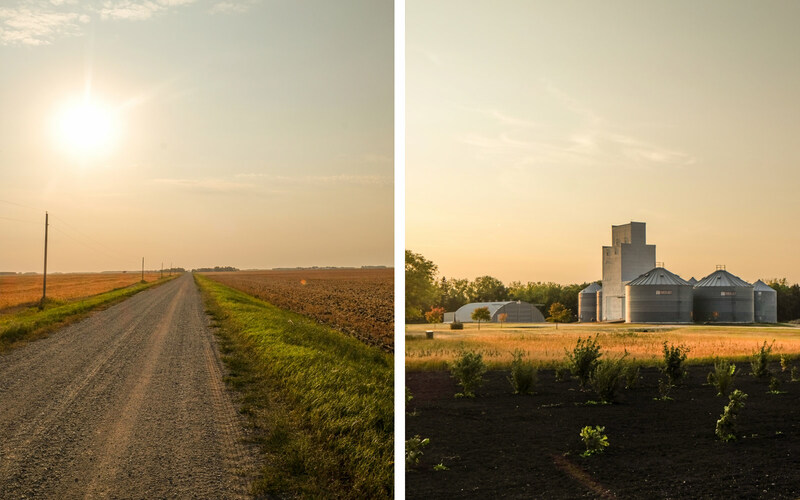 It’s home to narrow county highways, shimmering silos, and open skies. The winters are bright and bruising. When it thaws, the town’s trusty siren whirs back into action; it rings at 6 p.m. each night, a signal to farm hands that dinner is warm. During those dreamy conversations, they reached a few conclusions: 1) Were they to flee city life for the northern plains, Reese and Swanson would develop a finished product from the grains that Swanson’s family had long cultivated. 2) They also loved whiskey. In 2013, after loads of background research, training, and a few semesters of business school, Swanson felt comfortable swapping his Allen Edmonds for a pair of Red Wings. The two decamped back to Hallock, where Swanson’s parents had set aside one-quarter of their acreage for the new venture. The distillery opened for business that November. The timing was opportune. A decade prior, there were only a handful of specialty distillers operating in the United States, maybe 50 or 60. Penetrating a market dominated by multinational conglomerates was nearly impossible. Then came the revival of cocktail culture and the subsequent liberalization of both state and federal liquor laws. Spirits drinkers were suddenly willing to pay a premium for flavor and character. 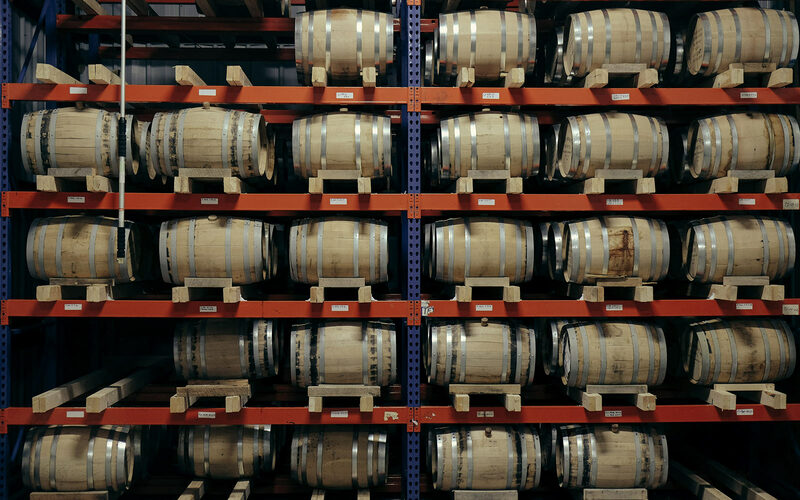 According to the latest count from the American Craft Spirits Association, close to 1,600 craft distilleries are now up and running nationwide — making for a growth curve even steeper than the craft beer boom of the 1980s and 1990s. I met the Far North team at the distillery on a hazy afternoon in August, one of the year’s steamiest. Crops stretched deep into the distance, buried into topsoil so black it looked dyed. There weren’t any neighbors in sight, no other obvious signs of civilization — other than Reese, sliding open the wood door of the main building to welcome me in. Swanson swung around in his truck a minute later. He’d been out harvesting the rye that Far North planted last fall, and he didn’t mind taking a (modest) break to show me around. Their facility — which Reese jokingly calls “The Chocolate Factory” — was built from scratch, right on top of an old wheat field. Inside are two copper stills (50 and 500 gallons), a gurgling mash cooker, open-air fermentation tanks, and dozens of wood barrels stacked neatly in the back. The building has no climate control; extreme temperature swings aid the aging process. Thanks to the mash, everything smells vaguely of hot cereal. It’s also eerily quiet, aside from the hum of equipment and the occasional purr from Eep, a formerly frost-bitten rescue cat who, like his adoptive family, was born and raised in Hallock. The concept of terroir, more commonly associated with wine and, lately, coffee, is seeping into the vocabulary of craft distillers. It’s the idea that agricultural products are shaped by the climate and the culture in which they’re grown. Corporate distillers tend to use a few giant commodity suppliers; everything starts to taste standardized, even bland. Even among craft distillers, very few grow their own ingredients. Swanson and Reese are a new breed; like chefs, they’re thinking hard about how to maximize the natural strengths of Hallock and the surrounding region. Swanson monitors the entire process starting when the seeds are planted, giving him tight control over quality and taste. He can pick the precise variant of crop, can tweak the spices in each individual batch, can fiddle with his dials if necessary during production. 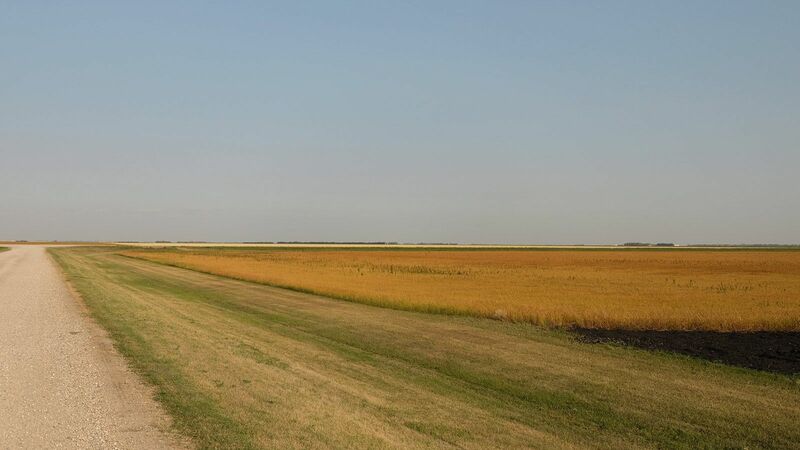 Their land, meanwhile, is nutritionally (and sentimentally) rich, the same fertile pastures that Swanson’s great-grandparents tilled a century ago, fresh off a boat from Sweden. Locals were excited when Reese and Swanson moved back, if skeptical of their ambitions. “Northwest Minnesotans are very quiet and passive-aggressive,” Swanson says. “They were like, ‘That sounds different.’” It took only a few months, and a few sips of Solveig, to win them over. 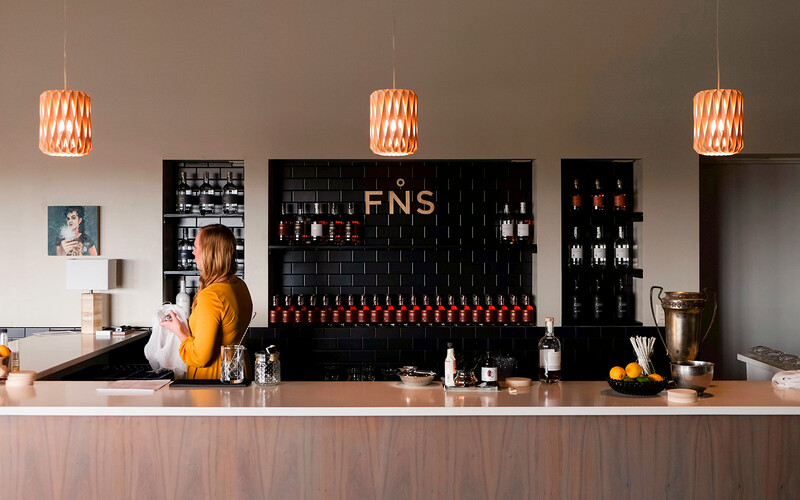 On Saturday evenings, Hallockians now stream into Far North’s airy tasting room, bellying up to the polished bar for cocktails with birch paper straws. (Considering the beauty of the space and the caliber of the drinks, the prices — $6 for something mixed, $3 for a pour — are shockingly low.) Along one wall, there’s a stack of t-shirts with a simple question printed on the back: Who’s your whiskey farmer? The couple filled their 100,000th bottle in August, a major milestone for what’s effectively a Mom-and-Pop shop. Distribution is growing steadily, in line with Far North’s burgeoning reputation. 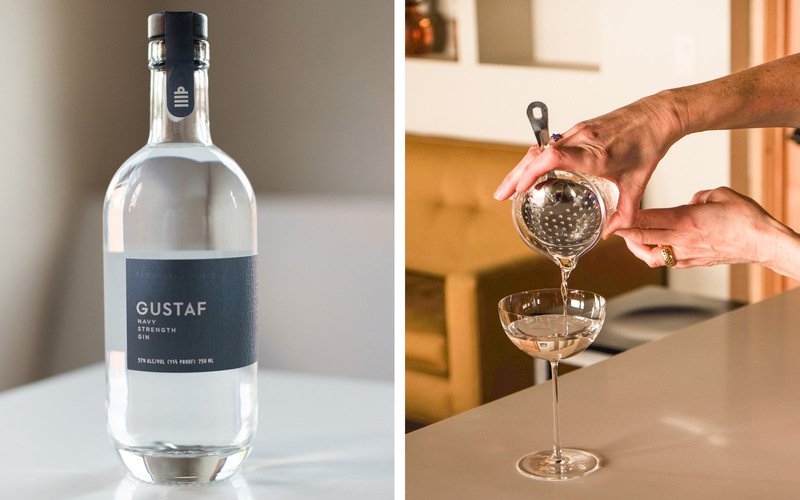 (Their wares are stocked at some 1,100 bars or liquor stores nationwide, in the Midwest and on both coasts.) In the past calendar year, they’ve hosted visitors from 23 states and six countries, far-flung locations that Reese marks dutifully on a pinboard map in the warehouse. 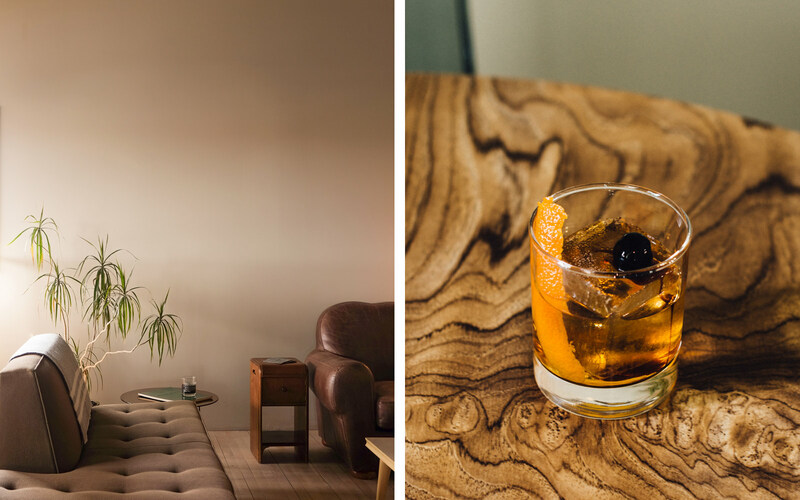 Those who trek up are rewarded with a comprehensive tour of Far North's operation, charming conversation, and drinks as sophisticated as any you’d find in a big-city bar. Reese admits that building a life on the geographic margins sounds loony. It’s certainly full of logistical challenges: finding qualified employees, minimizing shipping costs, enduring long and lonely winters. In truth, the owners (along with assistant distiller Johny Barbosa) put in grueling hours, sometimes in adverse conditions, nearly all on their own. Still, the folks at Far North are confident about the future. They trust their hands and their instincts. They’re deeply connected to that inky Minnesota soil. Swanson, the consummate farm kid, isn’t afraid to take apart his equipment and experiment. Down the line, they’d like to extend their barreling room, maybe add another still, size up the fermenters. They recently hired a Swedish production assistant; his accent is as thick as his beard. They want the world to see, up close, what sets Northwest Minnesota apart. Their project is by no means a marketing gimmick. Not long ago, some Napa Valley winemakers swung through Hallock, careening down the gravel road that bends toward Far North’s grain bins, kicking up dust behind them. Swanson couldn’t believe they traveled all that way. (“Was it because Napa was on fire! ?”) The winemakers had found Far North Spirits on shelves out west and were stunned to see that Swanson personally dug up the rye they’d later imbibe. The cocktail room at Far North Spirits is open every Saturday from 4-8 p.m, unless noted. 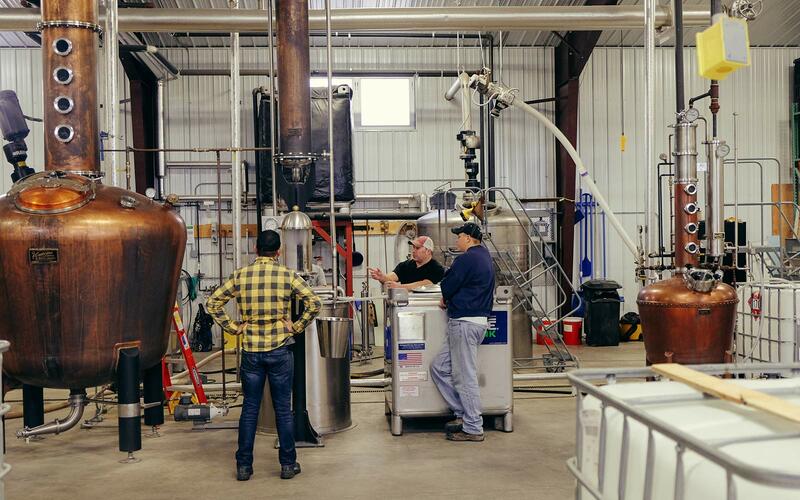 The distillery also offers private tours by request; to visit, get in touch through their website (farnorthspirits.com).